Crozier Refrigeration breakdown support is available seven days a week. We are contactable after during normal and after hours on the 0800 COLD MILK number. Many of our customers are on an annual planned maintenance service programme. 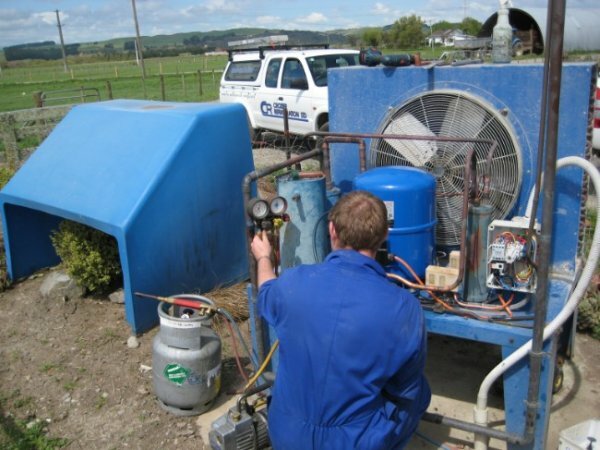 This incorporates a yearly planned service in which, with years of experience we have identified necessary service points that must be tested to avoid major loss of refrigeration, thus reduce the risk to the loss of milk.